What is roof flashing? This quick guide outlines one of the most important aspects of your roofing - and the problems it can cause when it fails. 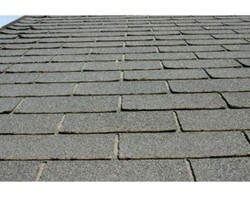 Roof Flashing is vital for preventing roof leaks. While good roofing can effortlessly shed any rain or harsh weather, the area where sheets or slopes meet at different angles is a weak point that water could easily sneak through. Flashing is essential because it makes these junctions watertight. However, it’s also the most difficult to get right, and the most prone to cause problems if left unchecked. The most important (and problematic) part of your home roof. Flashing is a strip or sheet of angled metal that covers these gaps; the joints between the standard roofing and other surfaces (such as walls, chimneys, parapets or pipes). Simple and effective, it diverts water away from these areas, cleverly harnessing natural forces of gravity, and onto the regular roof surface, where gravity will do the rest and send it harmlessly away. Which metal is best for flashing? The flashing measurement and installation must factor in the possibility of movement, as the metal will contract and expand in extreme temperatures. If the flashing is made from material that can rust or corrode, it will need to be carefully washed, primed and painted beyond the recommended minimum number of coats. Copper is the most common metal in roof flashing, as it’s generally very easy to work with, and very adaptable to the expansion and contraction of temperature changes. However, while it usually does the job well, it’s vulnerable in areas where acid rain is a concern. Tin flashing is a misleading title, as it’s actually made of terne-plate is another common metal in these situations, but it’s somewhat higher maintenance, requiring frequent repaints to avoid rust. Zinc is one of the most sturdy and lowest-maintenance flashing metals you can find, although it’s not as widely used or accessible. The gradual oxidization of the zinc actually works as a protective coating against harsh weather, making it very likely to withstand the test of time. Roofing felts avoid metal entirely, theoretically saving a good deal of money. However, it generally doesn’t hold up over time, meaning future replacements will almost certainly outweigh any short-term cost saved. A great introduction to the basics of roof protection. Nice info. I love houses and it would be so interesting to see an old-style house during construction. If you're thinking of replacing your windows, you need better advice than your local window salesman will give you. Here's a good place to find it!